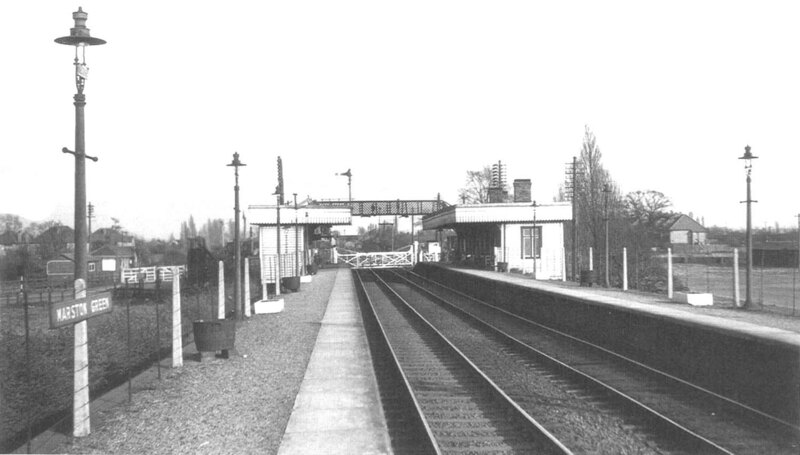 Looking towards Coventry and the level crossing from the Birmingham end of the up platform on 24th May 1955. Unusually the station name plate is both oblong, rather than being the standard BR totem, and fixed to the concrete fence post instead of being fixed to the lamp post. In all probability the station has still not received British Railways' corporate London Midland Region station signage a fact supported by inspecting image 'lnwrmg2097' which shows the BR totem station signs. The dark grey of the lamp posts also seem to confirm that other than new fencing no significant changes have occurred at the station for quite some time if ever.